Schedule an appointment or for additional information about our dental services, please call our Chelmsford office at 978-256-2111, early morning & evening hours are available. Do I need to floss regularly? What should I bring to my first appointment? We have the answers to these and many other questions. New patients to our Chelmsford dental office need to complete the following forms. For your convenience you may print them, fill them out and bring them to your first visit to our office. We work with you to keep your mouth, teeth and gums healthy. Based on the needs of each individual patient, we develop an effective preventative program that defends against dental diseases and conditions. Good oral hygiene starts with regular dental cleanings. Regular teeth cleaning helps remove plaque and tartar build-up, which contribute to periodontal disease. Dr. Arthur Yee DMD is a general family dentist practicing in Chelmsford MA for the past 20 years. Oral hygiene starts with regular cleanings. 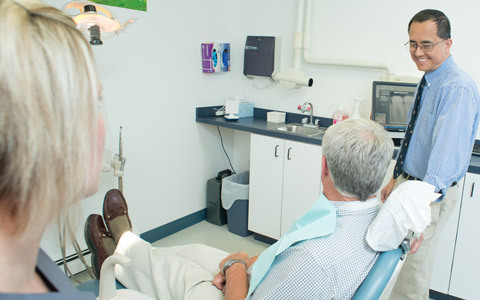 Dr. Arthur Yee DMD is a general family dentist in Chelmsford MA. To schedule an appointment or for additional information about our dental services, please call our Chelmsford dental office at 978-256-2111 or fill out the form below. Early morning and evening hours are available. We look forward to seeing you and making you smile!